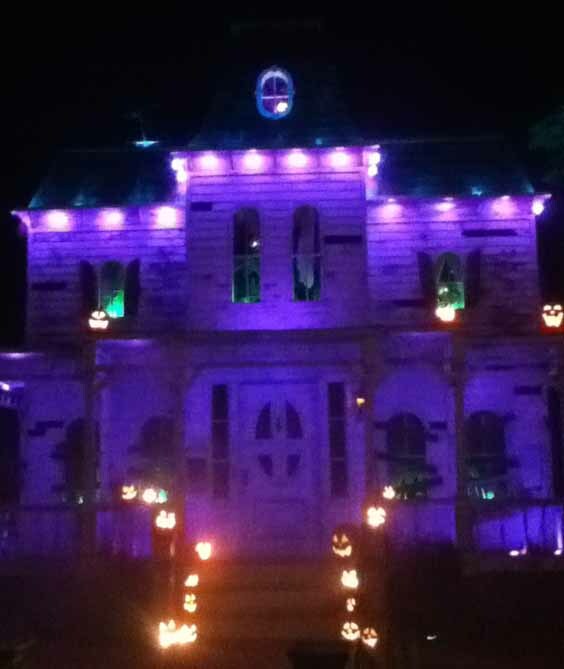 This home haunt went on hiatus for 2015 because the proprietors were moving from their old location. Since then, they have been busy working on other projects, but they still post how-to-haunt videos on their YouTube channel. 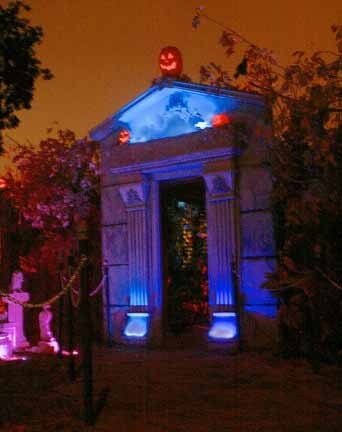 Formerly known as Mishap Manor, this family-friendly yard haunt got a makeover and a new name for Halloween 2012, razing its decrepit haunted house to make room for a "A Haunt on Garden Street," which included a cemetery and a walk-through crypt, enhanced with lighting and sound effects. You can read about our visit here. 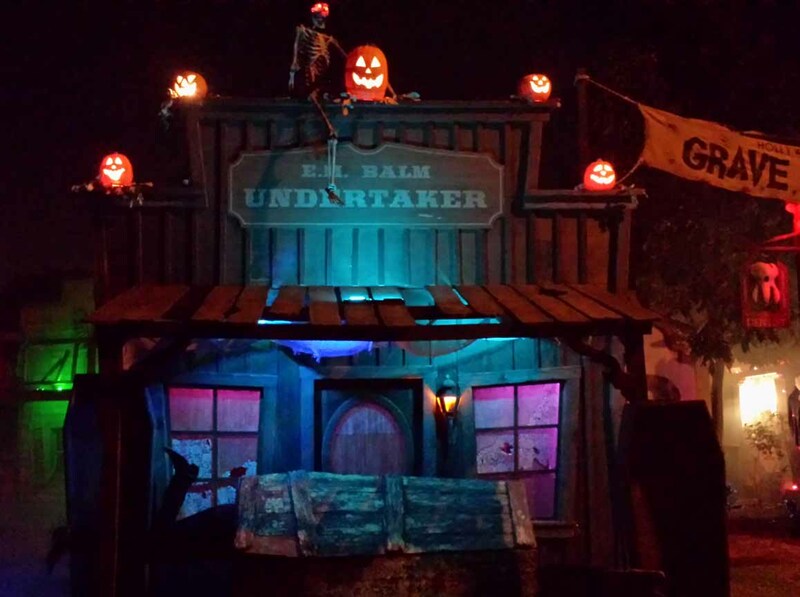 Like a chameleon changing its colors, Hollywood Haunter morphed into something new the following Halloween: Grave Rock Gulch, a spooky but not too frightening old Western mining ghost town, which allowed kids to pan - not for gold but for body parts! Facades included a Jail, a Spanish Mission, a Train Depot, a Saloon, a General Store, a Dentist-Barber Shop, an Undertaker, a Gold Mine, and a Water Tower. 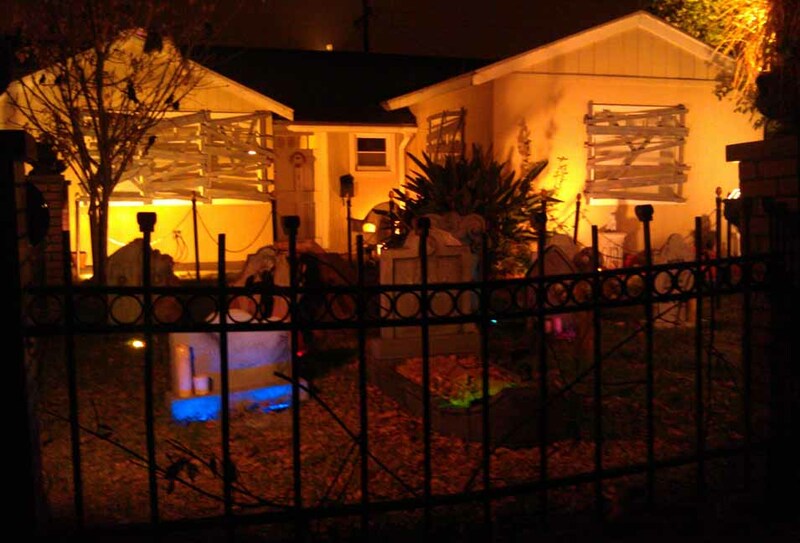 The theme changed again for 2014 - into "A Night in a Haunted House." 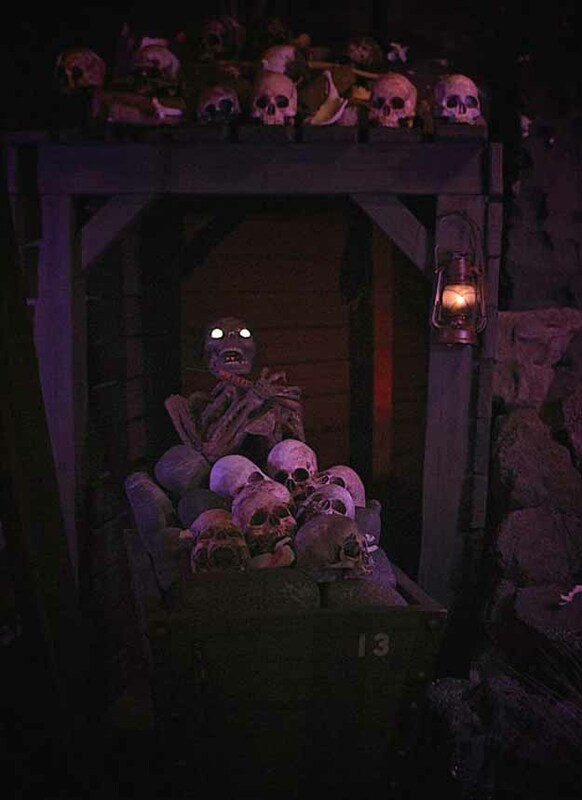 On October 31, trick-or-treaters were invited to walk through a sinister display of ghosts and skeletons; the scare level was "perfect for the whole family." 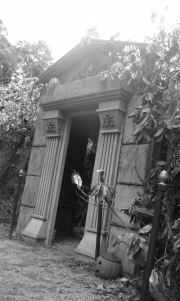 In whatever form and by whatever name, Hollywood Haunter featured some of the best sets of any amateur haunted house in Los Angeles, making itself into an event work seeking out, even for those who did not live nearby.